← Papi esta en la casa!!! 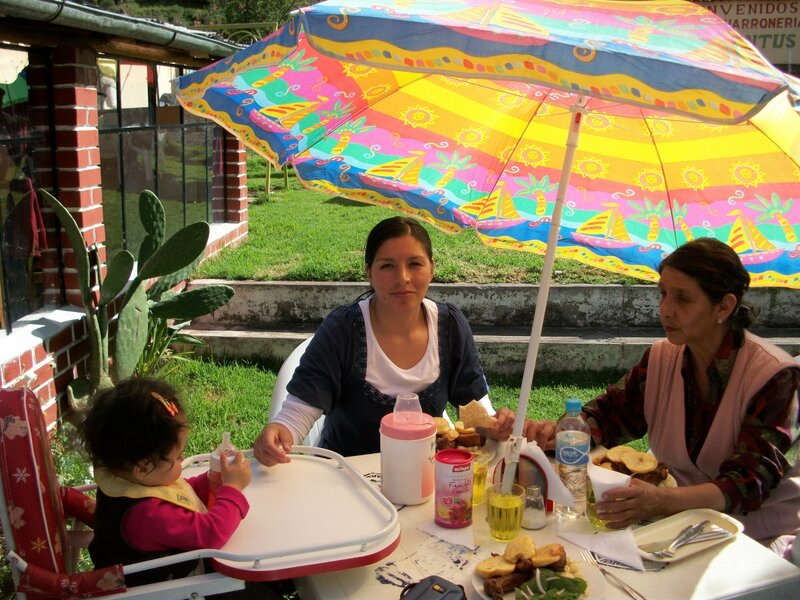 Nothing better than enjoying lunch outside under the Andean sun. 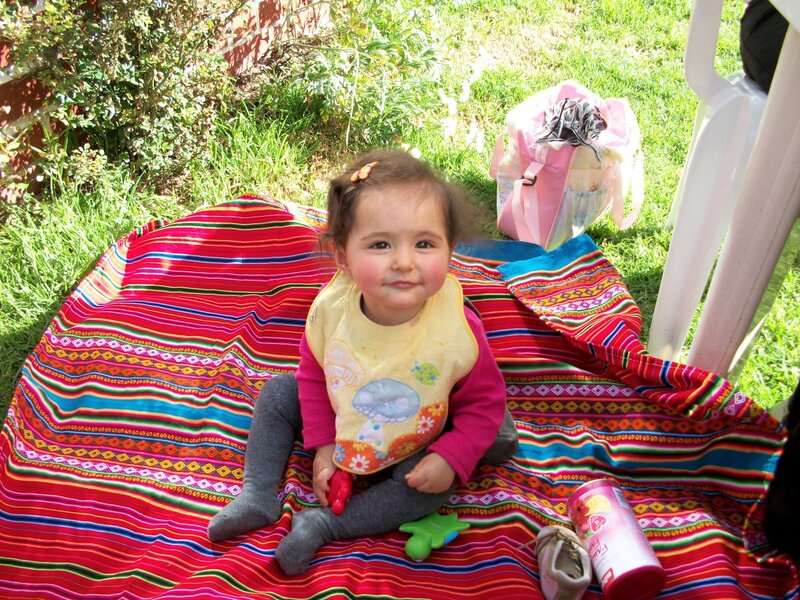 One of our favorite trips is going out to Saylla for some chicharron (fried pork), as we did this past Saturday. 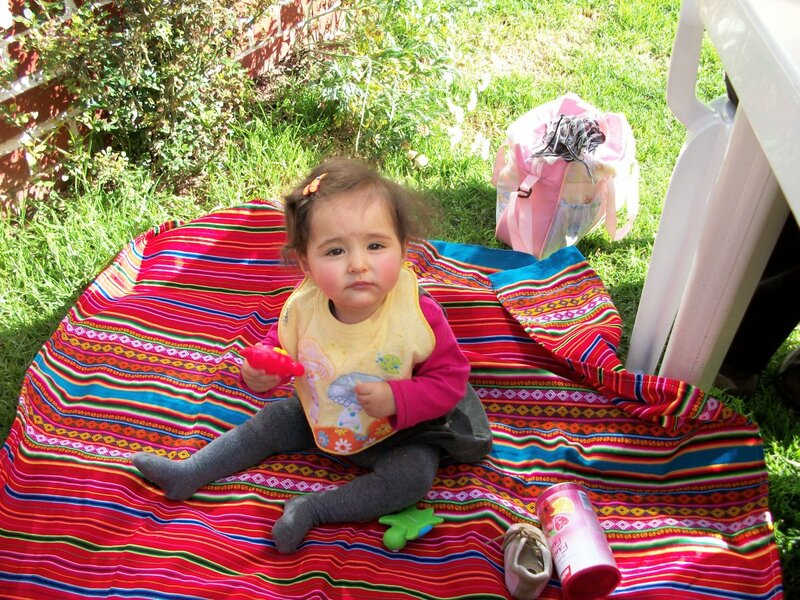 Playing on papi's favorite traditional blanket! There must be 20 or more restaurants in Saylla, and practically all of them are “chicharronerias”, it’s what the little town is known for. If you drive further down the “Valley of the South” you can have cuy in Tipon or pata (duck) in Lucre. From Cusco you can take the local busses like we do, and there are also many tour operators who offer day-trips to the “Valley of the South”. This entry was tagged Chicharron, food, lunch, Peru, Saylla, sun. Bookmark the permalink. Inka Kola? Ha, I haven’t had that since the last time I was in Peru. I can’t say I enjoyed it, though. I remember it tasted like bubble gum and was really sweet. It seems like Inca Kola is less sweet than before now. 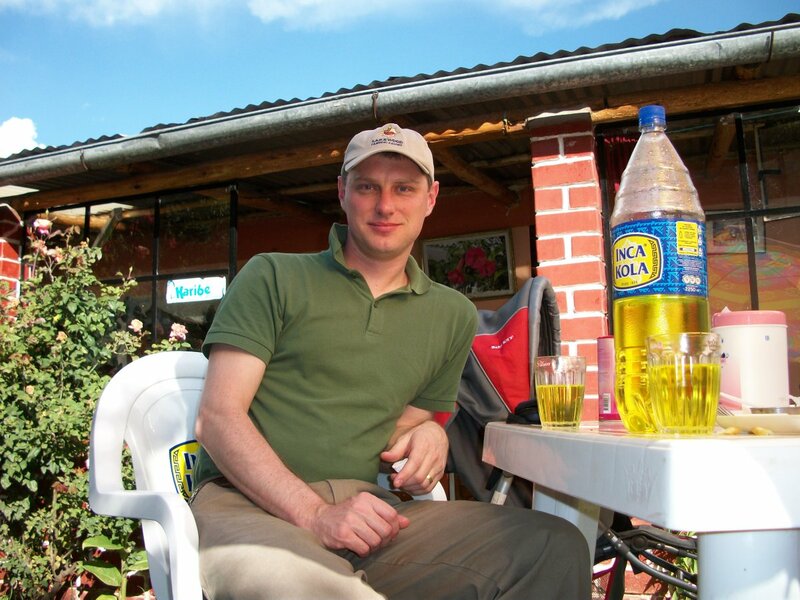 Since some time Coke owns Inca Kola, maybe that has something to do with it. It’s still sweet though, a bit of an acquired tasted I’d say.